MACY'S SALE: It's the Thanksgiving ONE DAY SALE! Free shipping starts at $25 too! GAP: Up to 50% off everything with code BEST. Plus an extra 30% off your purchase! I'm not sure how I've missed these booties at Nordstrom all this time but they are on sale for 40% off right now which puts them under $60! Sizes are selling out fast though! Another fun gift idea for older kids! To be honest, it looks kind of like beer pong meets Connect 4 but kids don't have to know that. haha Price drop on this one too! This cute camo jacket has rave reviews and is under $30! I love the details in the collar and how it nips you in at the waist. Looks adorable with the sleeves rolled up too! 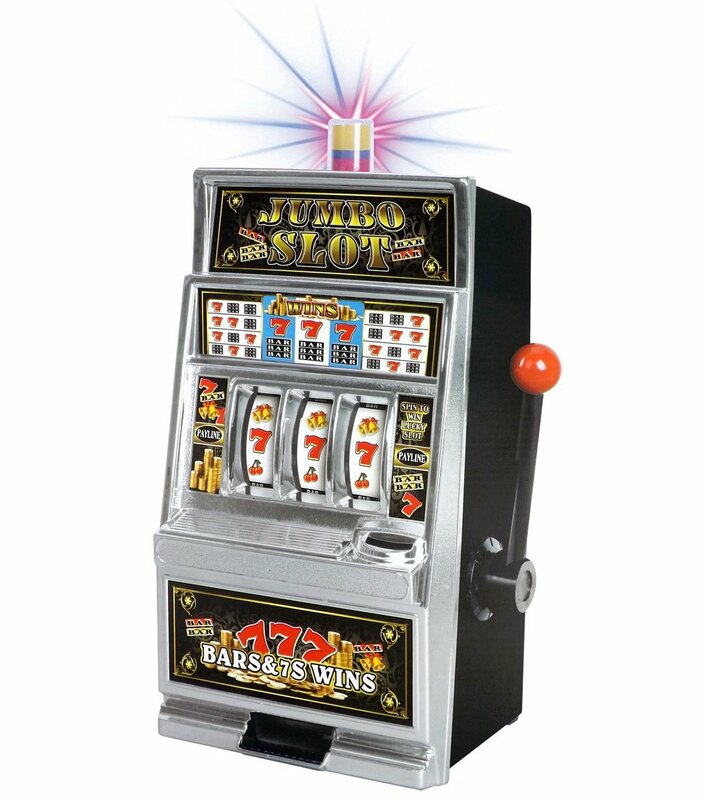 If you've got a friend or family member who loves the slots, this could be a fun gift for them! There's a price drop on it right now too! Matthew (my 10 yr old) was sitting on the other side of me when we were scrolling through Amazon and he pointed out this game. He said they play it at indoor recess at school and he was pretty excited to see it. 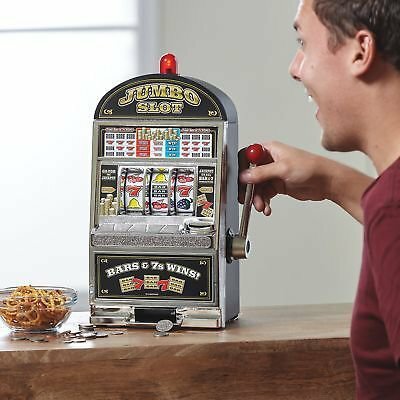 It's not on sale right now but I wanted to point it out anyway in case you have kids around the same age and are needing ideas! Mason (my 8-year-old) was sitting next to me when I was browsing deals on Amazon earlier and got all excited when he saw this. 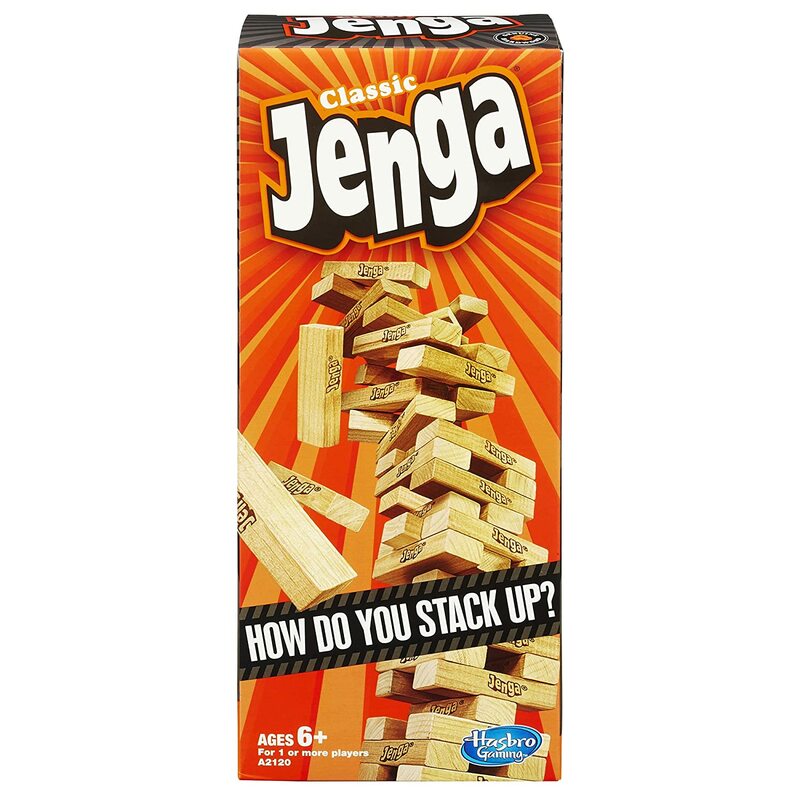 I'm not sure how we've made it this far without Jenga in our house but he wants it and it's on sale for less than 9 bucks right now. Inexpensive gift idea! Anyone frying a turkey for Thanksgiving this year? 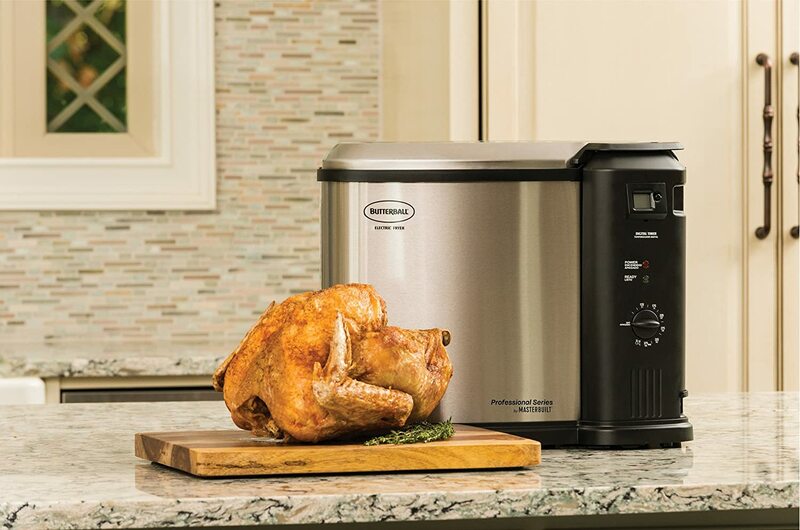 This Butterball Fryer is on sale right now for 35% off which drops it from $150 to $97! These adorable personalized stockings are on Jane today for just $12.99! The reviews are FANTASTIC too!! Several different ones to choose from! Monogrammed Cashmere Sherpa Tunics. Doesn't get much better than that! Sizes and colors are selling out so act fast! Loving the holiday half-zip pullovers! These come in 3 colors and are all so easy to slip on with jeans and still be cozy and even a little festive. Plus they are on Jane so you know that price is right! Those fun insulated tumblers are back on Lightning Deal right now in a ton of pretty colors!! They are being sold as a set this time so you get two for $16.99! That's only $8.50 a piece!! These are perfect for keeping your drink hot OR cold so grab a set and keep one for yourself and gift one, gift both, keep both...your call. Another Deal of the Day on this gorgeous Cole Haan puffer coat in 5 colors! Down from $250 to only $99.99 today! Sale ends 11/14! This is a huge deal for a high-end, high-quality coat! The Kitchen Aid mixer is another Deal of the Day at Macy's today!! Get it for under $300 (reg $474.99!) and free shipping! 28 colors to choose from!! Whoa!!! I was looking through the Thanksgiving Day Sale and this stainless steel 13 piece cookware set and the 13 piece nonstick set are on sale right now for $29.99...REGULARLY $119.99!! And it ships free today too!! This is advertised as a "one day sale" but it also says it's from November 12-14th...? I'm sure deals will sell out anyway so GO GO GO GO!! FIVE STAR REVIEWS TOO!! Save big on the Martha Stewart Cast Iron Collection in tons of colors at Macy's today too! So many pretty colors to choose from too!! Some of these pieces are 72% off!!! Look what else I found!! Le Creuset 2.75-Qt dutch ovens in 5 color choices, on sale for $129.99! There are so many incredible deals in this sale so go HERE to shop them all!! It would take me a week to post them all! Don't miss out! Baby through big boy sized jammies on Lightning Deal right now! Click around to find the deals on size/color combos but most are around $13! How much do we love CHENILLE?! That material is heaven sent. These chenille cardigans are 39% off at Jane today in several colors! Grab one in that red or dark green for a touch of holiday spirit!! If you are a looking for a unique and personal gift but still something that is practical and will get used on a daily basis, take a look at these personalized fuzzy fleece throws on Jane today! So many great prints to choose from and great reviews!! Cute winter leggings on Lightning Deal right now! Lots of different patterns! Snag some for under $13 before the deal sells out!! Oh yes!! Those cozy popcorn cardigans are back on sale at Jane today, have amazing reviews and look great with jeans and uggs or thrown over a tee and pj pants for those cozy nights in. So stinkin' soft! Great mom-to-daughter or daughter-to-mom gift! Oversized fit so size down if between sizes. Tons of colors left! So many Crayola products on Deal of the Day today!! 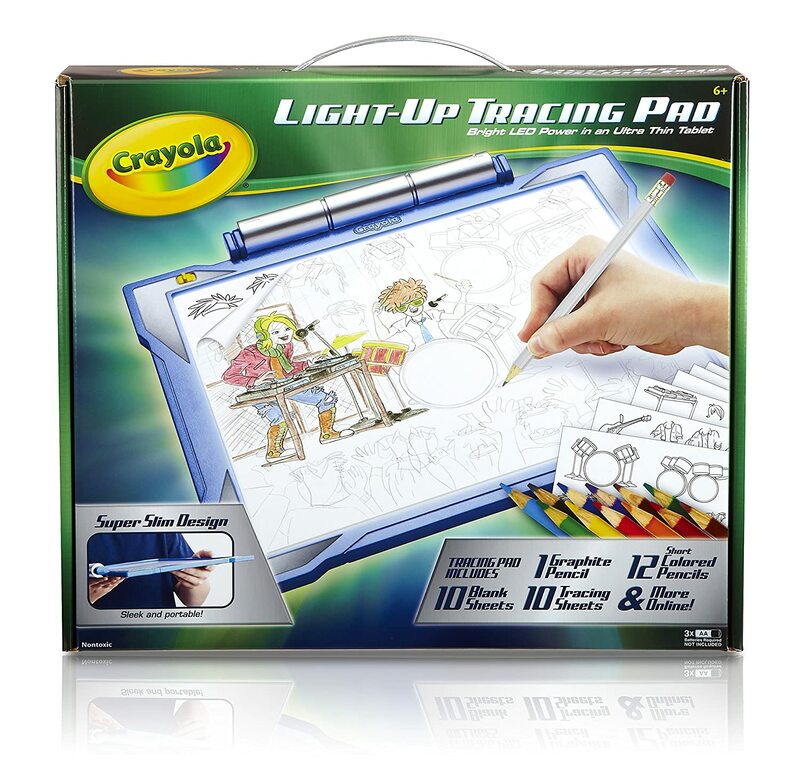 My oldest (10) would love this light up tracing pad! It's down from $25 to $13.73!! (Deal sold out!!! Back to the regular price of $24.99 but this has been in and out of stock all day at crazy high prices so you might want to grab it now if you really want it. It's a popular one this season! The PINK one is in stock as well. 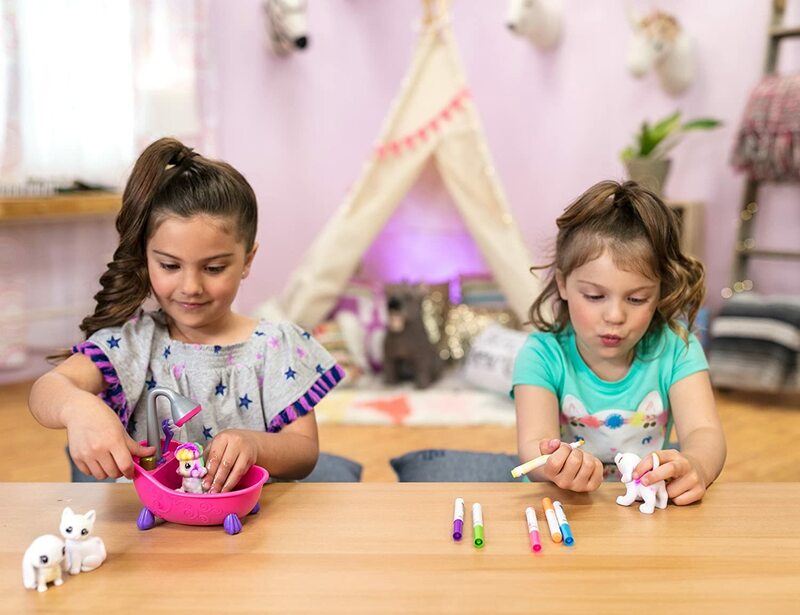 For your girls, check out the Mega Scribble Scrubble Set! It comes with all these little white dogs and cats and special markers. The girls can color their animals and then give them a little shower to clean them off and start over! CUTE!! Reg. $36 but on sale today for under $20! And the classic art easel is also on huge price drop! 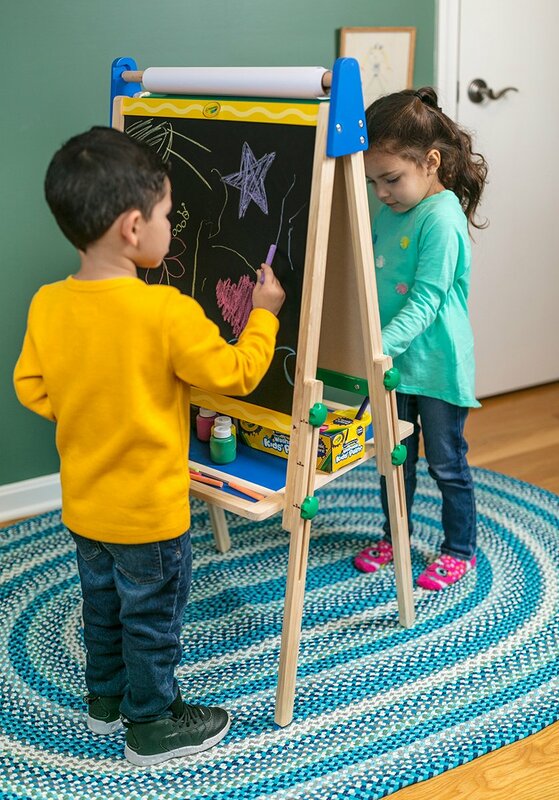 Every kid needs an art easel! Save $23 today!! There are SOOOO MANY great deals on awesome Crayola toys today! It would take me forever to post them all so go look! I'm not kidding!! My first deal I'm showing y'all today are these C.C. fleece-lined, touchscreen-friendly gloves because it is FREEZING here in Mckinney, TX today! I had to be out in the cold all weekend and could not find my stash of beanies and gloves anywhere!! I ended up wearing an old pair of gloves and no hat so I may be grabbing a pair of these plus a matching beanie. A great gift idea, y'all! A C.C. beanie with a pair of matching gloves?! Any girl would like that! Macy's is having their Thanksgiving ONE DAY SALE right now!! Free shipping starts at $25 and there are some HUGE SAVINGS! Shop the sale now before it's over! Great potential Christmas gifts!